Our team - works under a single contract with the project owner to provide design and construction services. One entity, one contract, one unified flow of work from initial concept through completion. Design build D/B) is also known as design/construct and single-source responsibility. D/B minimize the project risk for an owner, cost savings and reduce the delivery schedule by overlapping the design phase and construction phase of a project. Alpha Energy and Electric Inc. design-build successfully delivers office buildings, schools, hospitals, stadiums,and many other infrastructure projects with superior results. D/B is a wise choice we recommend for our clients. Business or property owners save on energy bills. Alpha's energy audit team conducts an inspection, survey and analysis of energy flows for energy conservation in a building, process or system to reduce the amount of energy input into the system without negatively affecting the output(s). A detailed report of findings will include potential paybacks, a room-by-room analysis, and a proposal for retrofitting your building appropriately. Please view this Client's Education Video from US Department of Energy. Solar power is the conversion of sunlight into electricity, either directly using photovoltaics, or indirectly using concentrated solar power. Alpha Energy and Electric Inc., a leading solar energy provider is your partner to power your building, systems or appliances with solar energy. We offer a wide range of customized solar energy solutions to help you effectively plan, purchase and maintain your solar energy generation source whether is for residential, commercial, government or non-profit. You too can make solar energy a part of your daily life participating in using renewable energy solutions. View Client's Education Video from US Department of Energy. Electricity generation is the process of converting some form of energy into electricity. 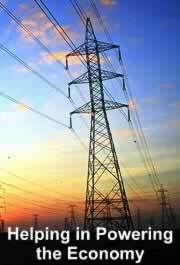 For electric utilities, it is the first process in the delivery of electricity to consumers. Alphae Energy and Electric Inc. has expertise in the design, installation and maintenance of Power Plants, be it from fossil fuels (coal, gas, petroleum), wind, solar, or nuclear. Our Power Plant designs are natuarally safe, easy to maintain, saves costs in human and material resources to run and manage.